1. Fast penetration, strong adhesiveness, anti-aging. 2. Double stick, excellent softness, don't come off. 3. Moderate tensile strength, convenient to use and easy to tear. 6. Oil based and water based. 7. White and yellow release paper is available. 1. Sticking polybag and paper. 2. For holding and joining of light weight objects. 3. Fixing of ornament hook or signboard. 6. 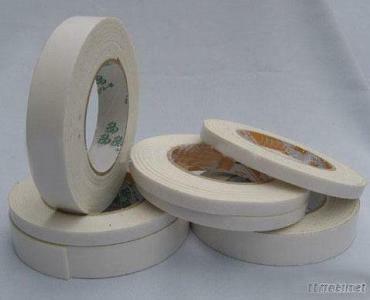 Insulation and fixing for electronic products.